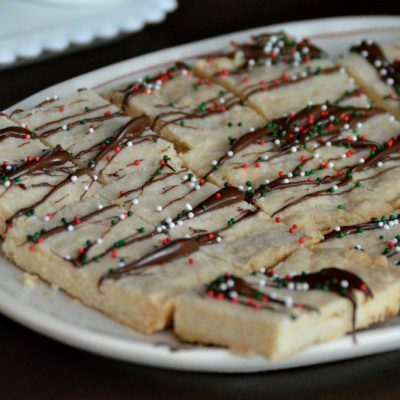 This light and buttery shortbread comes together with just five ingredients. Begin by setting out the butter to soften to room temperature. Sift together cornstarch, confectioner's sugar, and flour. Mix by hand with butter. Shape into circles or press into a jelly roll pan so dough is about ¼ to ½ inch thick. Bake at 300 degrees, for about 30 minutes, until golden brown.